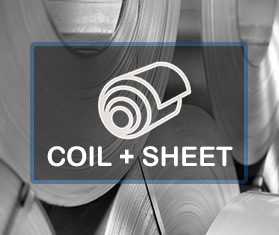 H&D Steel’s core business is the provision of slit coil to our clients in Manufacturing, Stamping, Roll Forming, Consumer Durables, Building and Construction, Automotive, and Food Processing. 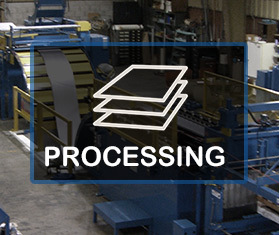 We provide service and offer process metal stock prior to Just In Time Delivery. T201 – This alloy is a chromium-nickel-manganese stainless, originally developed to conserve nickel. Its properties are similar to T-301 and exhibits excellent toughness at low temperatures. Typical applications include food service, kitchen equipment, appliances, automotive trim, and architectural applications. T301 – This alloy is lower in chromium and nickel, for greater work hardening. Typical applications include food service, kitchen equipment, and conveyors and belts. T304 / T304L – This alloy exhibits an excellent resistance to a wide range of atmospheric and corrosive conditions. Typical applications include kitchen utensils, appliances, automotive and chemical facilities, building materials, and transportation. The “L” version denotes a lower carbon level to avoid carbide precipitation that can occur during welding. T316 / T316L – This alloy includes molybdenum for improved corrosion and pitting resistance. Typical applications include the chemical and paper industry, pharmaceutical processing equipment and environmental scrubbers. The “L” version denotes a lower carbon level to avoid carbide precipitation that can occur during welding. T409 – This alloy is stabilized with titanium and exhibits excellent corrosion resistance along with good formability. A typical application is automotive exhausts. T430 – This alloy exhibits good mechanical properties along with heat resistance. 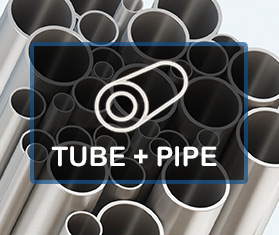 Typical applications include food service, kitchen equipment, automotive trim, and architectural tubing. T439 – This alloy is titanium stabilized with a high chromium content, providing high corrosion resistance in oxidizing environments. A typical application is automotive exhausts. T441 – This alloy is a chromium and columbium bearing stainless providing good high-temperature strength along with good corrosion resistance. Typical applications include those not requiring the high temperature of an 18 Chromium-Columbium stainless, yet those that require temperature improvements over those of a T409 and T439 stainless. 1050 – This alloy is 99.5% pure aluminum. It is typically used where high electrical conductivity is required. Typical end uses are transformer windings and switch gear markets. 1100 – This alloy is commercially pure aluminum (99.0% minimum). The alloy exhibits excellent corrosion resistance, workability and weldability. Uses include deep drawing, spinning, sheet metal work, decorative applications, and name plates. 1350 – This alloy is 99.5% pure aluminum. It is typically used where high electrical conductivity is required. End uses include transformer and switch gear markets. The primary difference between this alloy and 1050 is that it contains less silicon. 3105 – This alloy is a derivative of 3003. It is produced strictly from remanufacturing scrap aluminum. For this reason, it contains a few more impurities than 3003. 3105 has good formability and corrosion characteristics. General end uses are building products and sheet metal work. 3003 – This product is alloyed with manganese to provide slightly more strength. It has excellent workability, weldability and corrosion resistance. Typical end uses are drawing, spinning, sheet metal work, and application where more strength than 1100 is required. 5005 – This product is alloyed with .8% magnesium. 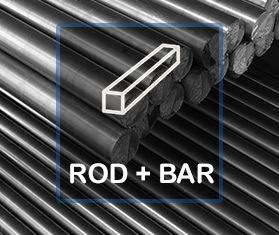 The alloy exhibits excellent workability, weldabililty, and corrosion resistance. This alloy is particularly good for anodizing. 5052 – This product is alloyed with 2.5% magnesium. It has very good corrosion resistance, good workability, weldability and strength. Typical end uses are fuel tanks, enclosures, fan blades, and sheet metal work. 5182 – This product is alloyed with 4.5% magnesium. It exhibits excellent drawing and stretching characteristics. It also strengthens with cold working. The primary end use is automotive and truck parts. 5754 – This product is alloyed with 3.2% magnesium. The alloy has good forming characteristics and moderate strength. It is generally used for light weight automotive components. 6061 – This product is alloyed with 1.0% magnesium and .6% silicon. It exhibits good formability, weldability, and corrosion resistance. Typical end uses include boats, transportation equipment, and structural engineered applications. Galvanized Steel – is steel that has gone through a chemical process of coating it in layers of zinc oxide to keep it from corroding due to the fact that this protective metal coating doesn’t rust as easily. The coating also gives the steel a more attractive durable finish which is hard to scratch. For countless outdoor, marine, or industrial applications, galvanized steel is an essential fabrication component. Hot-dipped galvanization is the most common method used. A variation, continuous sheet galvanizing, runs it through the molten zinc but tends to leave a thinner layer of the protective metal. Painting and spraying don’t impart the strong bond of hot-dipping. While electro galvanizing or electroplating uses electricity to create a bond; it, too, results in a thin layer of zinc. Galvannealed Steel – specialized steel produced by hot-dip galvanization followed by an immediate in-line annealing that imparts a very fine greyish matte finish. The coating doesn’t flake off when formed, stamped, or bent. The matte finish acts like a primer, allowing paint to easily adhere, and is very rust proof. With good paintability and long, reliable, service life, it finds extensive use in automotive, signage, electrical equipment, and other applications requiring these characteristics. GALVALUME® Steel Sheet – is carbon steel sheet coated with aluminum-zinc alloy by a continuous hot-dip process. The nominal coating composition is 55% aluminum and 45% zinc. A small addition of silicon is included in the coating alloy to ensure good coating adhesion to the steel substrate when the product is roll-formed, drawn, or bent during fabrication. The coating offers the barrier corrosion protection of aluminum and the galvanic protection of zinc; it lasts a long time; provides cut-edge protection along sheared edges; outlasts a galvanized coating of comparable thickness; while maintaining a bright finish. As the preferred product for long-term resistance to atmospheric corrosion, it is the preferred material for roofing. Aluminized steel-is steel which is hot-dip coated on both sides with aluminum-silicon alloy, giving a tight metallurgical bond between the steel and its coating. It exhibits better behavior against corrosion and keeps the properties of the base material for temperatures lower than 800 °C (1,470 °F). Commonly used for heat exchangers in residential furnaces, commercial rooftop HVAC units, automotive mufflers, ovens, kitchen ranges, water heaters, fireplaces, barbecue and burners. Our red metal sheet stock is available in Gauges from .008″ to .125″. Types available include 110, 230, 260, and 510. Need something else? We’ll find it for you. 110 – Electrolytic tough pitch copper is easy to draw, spin, or stamp. With its high electrical conductivity, solder-ability, and ability to receive a silver plate, it’s the logical choice for electrical applications. 230 – Red brass (85%), with excellent cold-working properties, is commonly used for general plumbing purposes. 260 – Cartridge brass (70%), a non-leaded brass displaying excellent cold working properties, it offers the best combination of ductility and strength of all the copper-based alloys. 510 – Phosphor bronze is an alloy of copper and tin, to which phosphorus is added to completely rid the alloy of oxides.